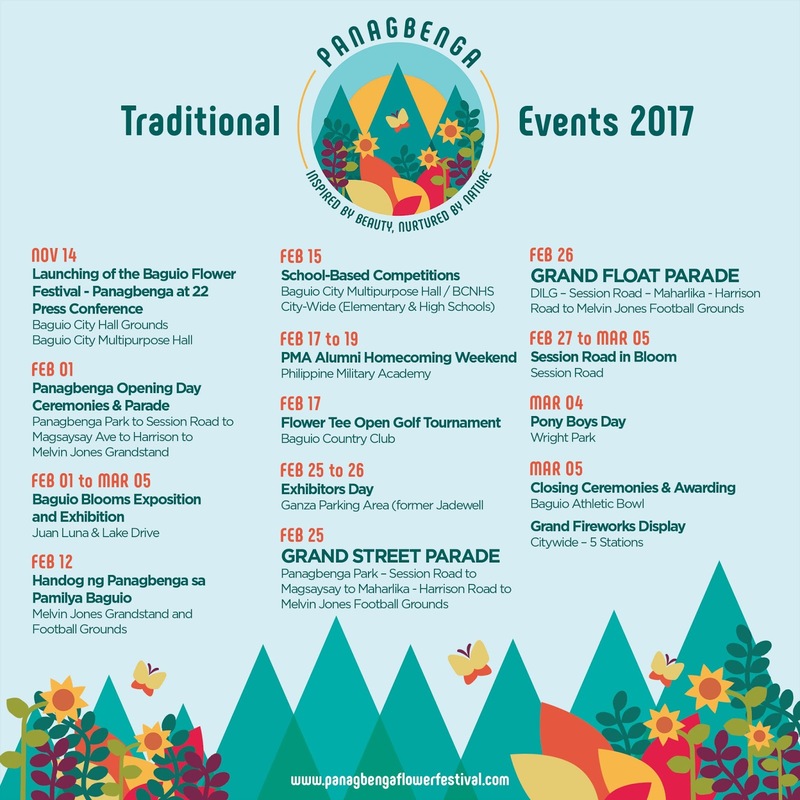 Panagbenga Festival or Flower Festival is annually held in the City of Pines, Baguio. Created to uplift the spirits of the Baguio folk from the 1990 earthquake, it has since fueled its citizens to great heights every year since then. 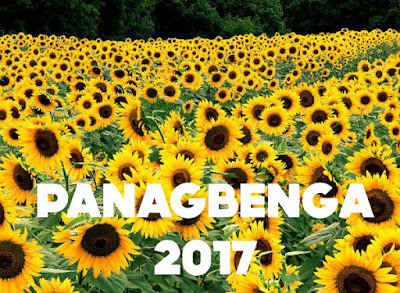 This is a month long festival so expect to stay long in Baguio if you want to catch all the beautiful activities they have line up for Panagbenga 2017. An opening parade on February 1 will announce the start of the festival and the grand attractions will be on February 25 and 26 wherein the Grand Street Parade and the Grand Float Parade respectively. All these are all flower inspired and the floats will be adorned by them. Streets will be closed for the parades so expect a lot of traffic and a lot of walking. 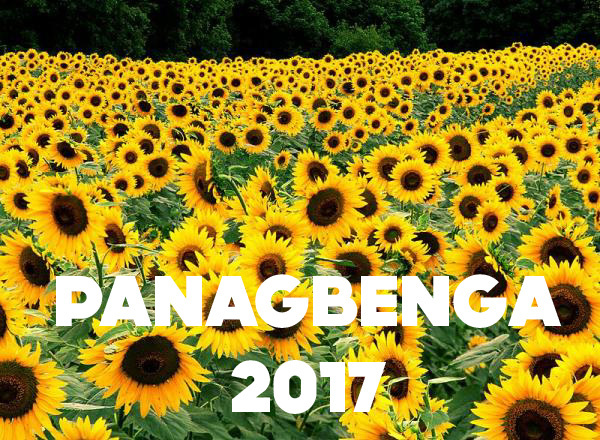 For this years Panagbenga, The grand parades will be on February 25 and 26. By the way book your hotels early as we were there first week of January and we have asked some hotels, and they confirmed some of them are already taking in reservations, and a handful are already fully booked. Watch out for future articles where to stay in Baguio during Panagbenga. Traveling by car or van means you will traverse NLEX, SCTEX and TPLEX, then to McArthur Highway all the way through Kennon Road or Naguilan. This will take you 4-5 hours, thanks to the various expressways already built. Taking public transportation will give you the adventure and will probably take you 5-6 hours on a regular air-conditioned bus from Cubao or Manila. Take a deluxe bus and travel time will be shorter around 4-5 hours since there will be no stopovers, they have restrooms built inside the bus already hence no stopping. This writer took the both the regular and the deluxe and surmised that given the small price difference, you should opt for the deluxe. That being said, we suggest that you book your tickets early for the deluxe bus as most people is thinking the same way we do. This writer made an error of not booking an advance ticket thus when it was time for to go back to manila, I had to consider being a chance passenger. Best time to go to there? Take the bus at 11pm or Midnight, you will reach Baguio come 5am or 6am. Just in time for your breakfast at either 456 Chinese Restaurant or at Good Taste. Read future articles on where to eat and stay in Baguio. For the events during the Panagbenga Festival check this schedule provided by the Secretariat. Visit also their official website here.